Google is making some big changes to YouTube Music, its one-size-fits-all streaming service. A comprehensive biweekly patch schedule is set to address some of the issues that users of the service have been experiencing since its launch earlier this year. This is according to Engadget, which notes that the user interface is expected to be updated first, due to complaints about difficult navigation and problems with sorting and browsing music. This is good news for meticulous music fans who like to sort their albums alphabetically. These changes do mean, however, that features like ‘shared history’, which synced Youtube Music Playlists with YouTube videos, will be removed. As well as these UI updates, users will reportedly have more options when it comes to streaming and downloading music. 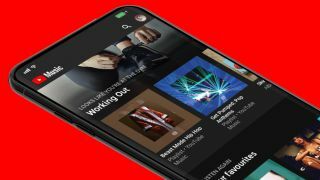 According to YouTube Music product manager Elias Roman, it will be possible to stream and download music in low, medium, and high quality, meaning users with limited storage can be more frugal with their downloads, as well as saving precious data. Roman also hinted that users may be able to save music to an SD card or external hard drive, something that Android users have long been asking for. Youtube Music was launched in May 2018 to make “the world of music easier to explore and more personalized than ever,” by combining audio and video in one neat package. It was speculated that the new streaming service would signal the end of Google Play. As of yet, Google has done nothing to suggest this is the case, and people who subscribe to Google Play have a free Youtube Music Premium membership included in their subscription. Aside from combining music and video streaming in one place, one of the benefits of YouTube Music is that users can draw on Google's huge search power, which means they can search for lyrics and phrases in the app if they don’t know the title of the song they are looking for. Whether this new patch schedule will enable YouTube Music to better compete with other streaming giants like Spotify and Apple Music remains to be seen, but we’re sure an enhanced user interface, and better streaming and download options, will keep fans of the service happy for the time being.